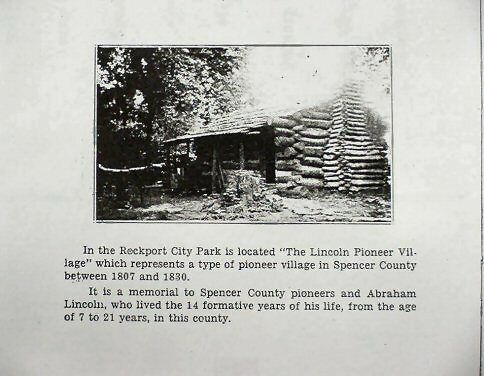 Written by Bess V. Ehrmann for the guests of our fair city on this historic occasion. 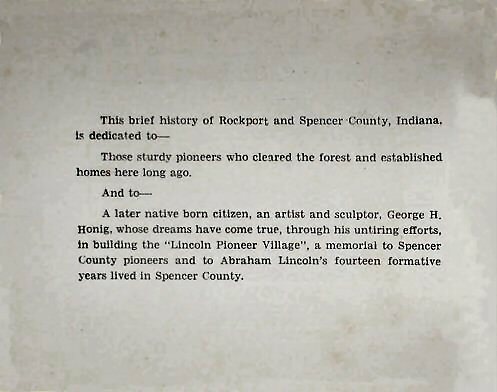 This booklet was published by the Spencer County Historical Society July 4, 1935, for the dedication of the "Lincoln Pioneer Village." 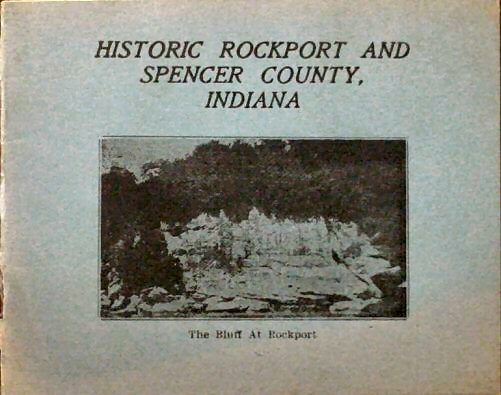 The booklet showed different images of the Rockport area. 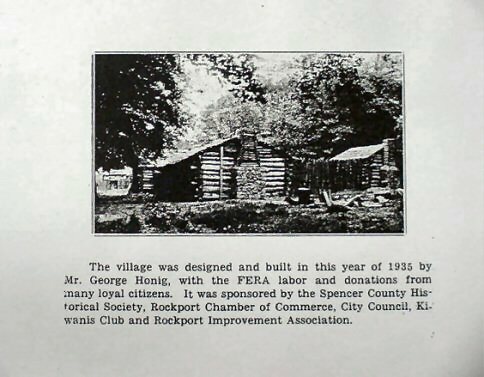 Reproduced below are only two pages about the Village.